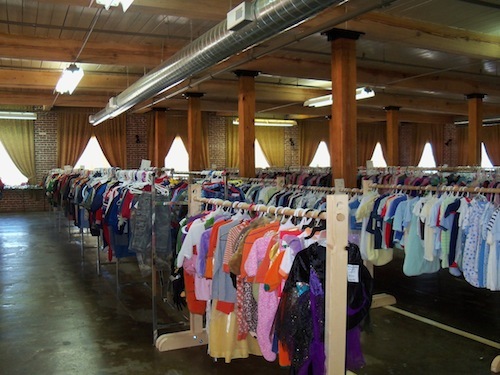 AMY Wee Trade is a twice-a-year children’s consignment sale supporting our Imagination Library literacy program. We like to think of AMY Wee Trade as a win, win, win: consignors sell items to make money for their family budgets, shoppers get great deals on kids’ clothes and toys, and the Blue Ridge Partnership for Children raises valuable funds to distribute FREE books to children in our community. 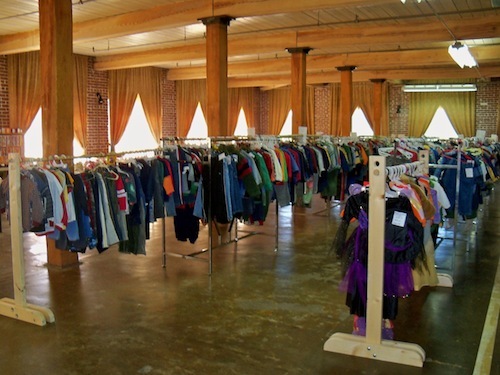 Sales of gently used children’s clothing, toys and equipment benefit Dolly Parton’s Imagination Library project in Avery, Mitchell and Yancey counties. 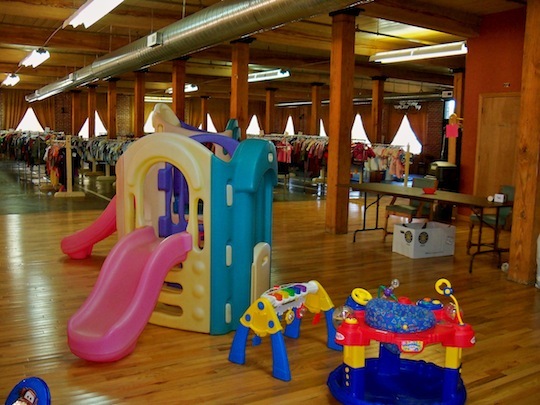 This sale is a great way for folks who consign items to make money on children’s items they no longer need and make room in their closets. 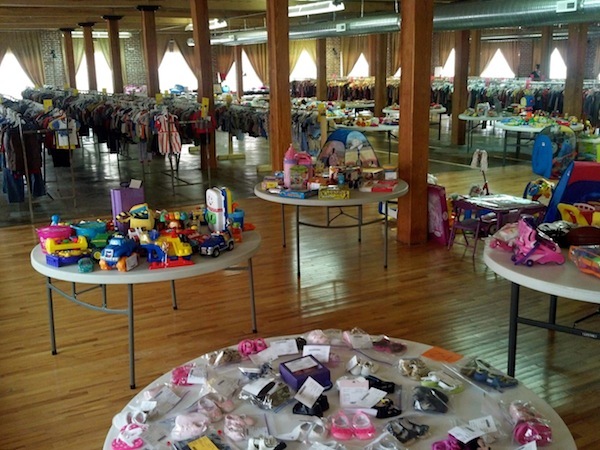 Because of the quality of items for sale, AMY Wee Trade is an opportunity to pick up cool gear for your kids without spending a huge amount of money, all while helping us provide local children with FREE books… win-win-win. 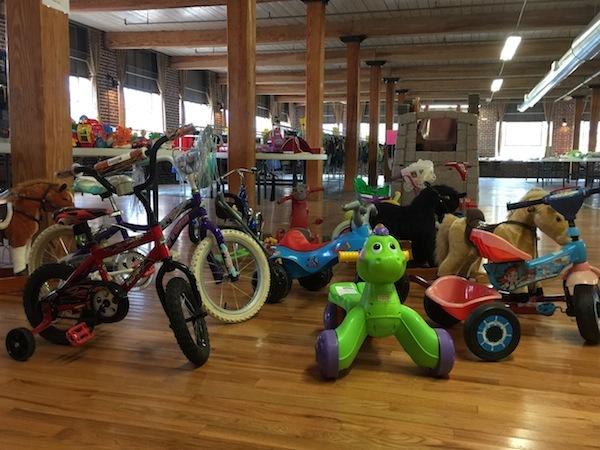 In addition to clothes and shoes, there are also bikes, trikes, and other large scale equipment for kids. AMY Wee Trade opens with a $5 preview day on Thursday, while all day Friday and Saturday morning are open to the public. Many items go to half price on Saturday morning. This extended schedule allows shoppers several opportunities to buy for their families, finding school clothes, gifts, educational materials, toys and much more! The Blue Ridge Partnership for Children serves families & children in Avery, Mitchell and Yancey Counties. We encourage everyone to take advantage of all the great resources, training sessions, and special events we offer each year. 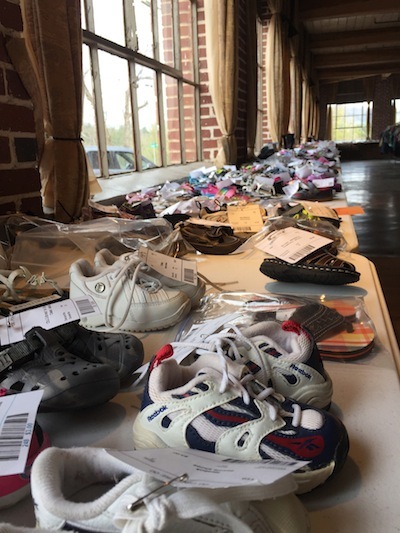 If you would like more information on AMY Wee Trade children’s consignment sale, how to consign items or to volunteer, please contact us at mytrade@gmail.com or call (828) 682-0717 or (828) 733-2899.